The solar panels atop the city’s newest parking garage go far in providing most of the energy used to power the facility. But it’s not good enough. Now, the city of Missoula aims to ween itself of fossil fuels – completely – by 2035. 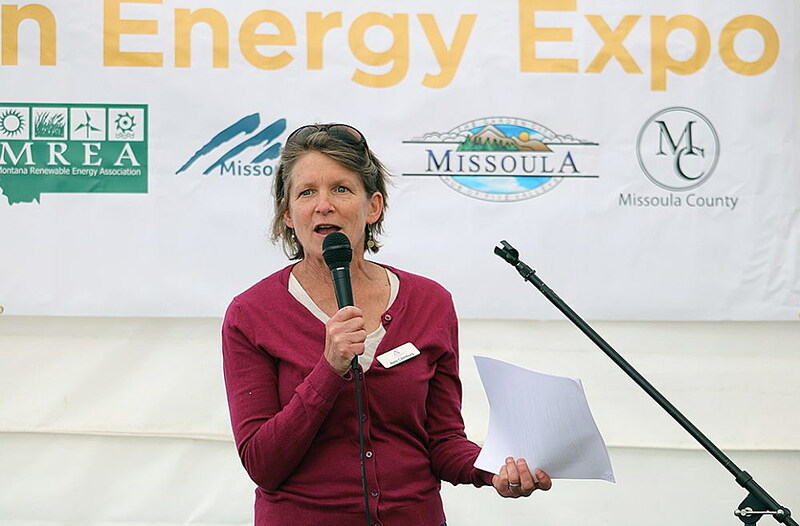 At the inaugural Clean Energy Expo held over the weekend in downtown Missoula, city leaders joined Climate Smart Missoula and other groups in unveiling a blueprint to get there. 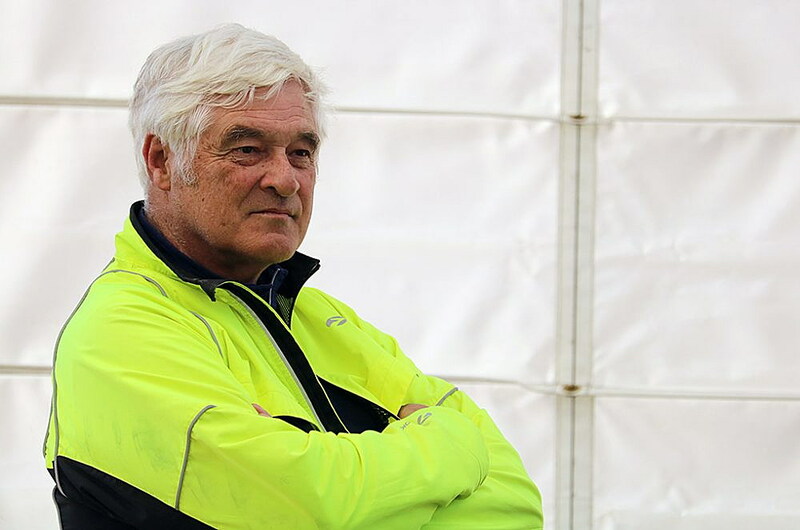 It won’t be easy, Mayor John Engen said. But in the end, small steps forward will help Missoula do its part in addressing climate change. Amy Cilimburg, executive director of Climate Smart Missoula, said a recent study of Missoula’s energy use found that roughly 60 percent is powered by clean, renewable sources. That represents a mix of city solar, like the Park Place Garage, and clean energy produced by the Missoula Electric Co-op and NorthWestern Energy. But 40 percent is still powered by fossil fuels, or roughly 300 megawatt hours, according to Cilimburg. Missoula isn’t alone in setting such goals. More than 80 cities, along with the states of California and Hawaii, have adopted 100 percent renewable energy targets. The mayors of 200 other cities in 35 states have endorsed 100 percent clean energy goals, and they’re moving closer to making a commitment. But despite prevailing science and visual evidence, such as Montana’s rising average annual temperatures, early snowmelt and longer fire seasons, the state remains largely absent from the global climate discussion. Yet local advocates aren’t taking a back seat on the issue, and Missoula’s burgeoning plan has a growing number of supporters who are looking for action, not words. Missoula’s clean energy plan plucks a number of best practices from other cities in setting its goals. It looks to green tariffs, franchise agreements and crowd funding, which allows individuals and businesses to invest in renewable energy. Improved net metering laws are part of the equation, and legislation allowing solar leasing. Community Choice Aggregation, first proposed in Massachusetts, would enable local governments to create nonprofit public agencies to serve as a public utility provider. That hasn’t been easy in past years with a Legislature and Public Service Commission that favor fossil fuels over renewable sources. Both bodies continue to advocate for coal-fired power and natural gas – two industries deeply rooted in tradition. “It’s very difficult right now to get anything positive passed at the stage Legislature,” said Brian Fadie, clean energy program director with the Montana Environmental Information Center. The Montana Public Service Commission isn’t any different, Fadie said. But while energy in Montana may be a political hot potato, local municipalities have choices that sit beyond the state’s regulatory bodies. Last year, President Donald Trump signaled his intent to remove the U.S from the Paris Climate Agreement. In response, Missoula joined 323 other cities nationwide in signing a letter pledging to remain part of the global climate agreement. The cities of Bozeman, Whitefish, Helena and Red Lodge have done the same.